Rising TIDE works with nearly 400 children and youth throughout the year, serving about 100 a day. 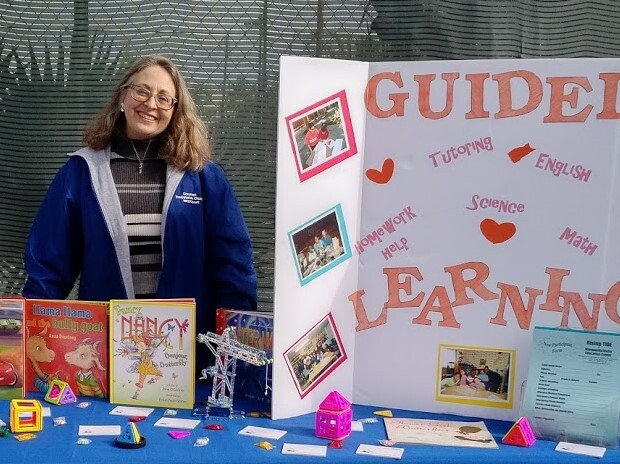 With a ratio of 1-4 (staff/volunteer to participants), this free program offers homework help, tutoring, interest clubs, participation in “The Arts”, S.T.E.M. (Science, Technology, Engineering, Mathematics) education, recreation, free food, specialized programs and an opportunity to build relationships that last a lifetime. Rising TIDE works with nearly 400 children and youth throughout the year, serving about 100 a day. Our paid staff consists of high school students, young adults, and parents who have a passion for children and youth. Each brings a particular skill set so we can better meet the diversity of our participants. We strive for a 1-4 ratio, which is made possible by the paid staff and the help of volunteers. Staff development is offered to the staff throughout the year. Staff are trained in areas that help them deliver better on the job and develop skill sets that can they can carry with them into the future, e.g. team building, child development, and CPR/first aid. Rising TIDE is located in downtown Long Beach, at the corner of 3rd and Atlantic. Rising TIDE is open Monday – Thursday from 2:30 – 6:30 p.m. (opening earlier on early release days from school) for children and youth of all ages. Middle School and High School students are encouraged to stay until 8:00 p.m. to get their homework done under the guidance of our Youth Study Center staff. Our mission is to empower children and youth of low income multi-cultural families of the greater Long Beach area through academic support, mentoring, cultural enrichment, arts, sports and recreational programming. James L. Stamps Foundation, Inc.